RadioIndy created a CD Announcement Press Release for Chapter II feat. Natalie Chandra on Digg.com! On “Angelface” the new CD from Chapter ll feat. Natalie Chandra, the rock comes fast and furious as blasts of roaring guitars punctuate swirls of synthesizer in an all-out attack of goth-influenced and hook-filled hard rock. Singer-songwriter Chandra brings a Pat Benatar-like vocal power to this 12-song collection, matching the intensity of her singing to larger-than-life anthems as well as moving power ballads. Highlights include CD-opener “Sulphur Anima,” an insistent, synth-driven howl of rage; “Stop Looking Away,” a Celtic-infused rocker with strains of bagpipe going head-to-head with a pile-driving heavy metal riff; the atmospheric ballad, “Scorned”; and the 8-minute opus, “Sekhmet's Summoning,” a gothic anthem of melody and vision. With its nod to Northern European influenced Black Metal, Chapter ll feat. 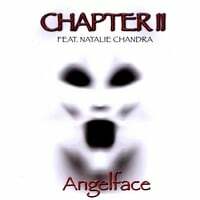 Natalie Chandra's “Angelface” CD is tailor-made for fans of Evanescence, Lacuna Coil and other theatrically-oriented bands who deliver epics of darkness and shadow like there’s no tomorrow. Straight guitar riffs mixed with orchestral sound. Recommended if you like Evenesence, Nightwish, Tarot, Lacuna Coil etc.